Elite athletes understand that to maximize performance, they can’t only train hard during workouts — they must also train smart. Unfortunately, unless you’re willing to live in a lab, it can be easier to get real-time information about your car than your body. Startup Humon is one of a growing number of companies trying to change that with wearable sensors and other technologies. The company’s first product, the Hex, measures oxygen in athletes’ muscles as they train, and visualizes those data so users can tailor workouts to their body’s needs. The Hex, a lightweight device that straps onto a user’s thigh, determines muscle oxygen levels by emitting light into the muscle tissue and measuring its absorption, in a process called near-infrared spectroscopy. That information is then relayed to a user’s phone, smart watch, or laptop via Bluetooth or ANT+ technology and displayed in a simple graph along with personalized insights. As athletes train, the graph shows them if their muscles are consuming oxygen at a higher rate than what is being supplied, which tells them if their current pace is sustainable. Babini and his co-founder Daniel Wiese SM ’13 PhD ’16 got the idea for the Hex in 2015 while working on a class project together at MIT’s Sloan School of Management. Wiese was minoring in technology, innovation, and entrepreneurship while pursuing his PhD in mechanical engineering, and Babini was on his way to earning a master’s in management studies. “The only thing we knew is we wanted to start a company centered around the human body, because we see no scenario in the future in which you’ll wake up in the morning knowing as little information about your body as you know today,” Babini says. After deciding to start a company, the founders received support from the Martin Trust Center for MIT Entrepreneurship, which helped them secure office space, connect with mentors, and speak with founders of established companies. They also received a grant while participating in MIT’s delta v accelerator and participated in the MIT Fuse program to conduct market research. Elite athletes are relentless in their quest to get even the slightest edge on their competition. Babini says the only real-time metric athletes have traditionally been able to track noninvasively has been heart rate, which can be influenced by factors such as caffeine intake and sleep deprivation. The founders wanted to track a metric that offers more value in training sessions, and decided muscle oxygen levels were the best metric of exertion. Data on muscle oxygen levels can be useful in each stage of a workout: Prior to a training session, athletes can use muscle oxygen data to determine when their muscles are warmed up (helping to prevent injuries); during a training session, such as a long run, they can use the data to determine if their current pace is sustainable; and after a workout, they can use the data to monitor their muscle’s recovery and know exactly when they’re ready for more exertion — a particularly useful insight during interval training. Near-infrared spectroscopy, the core technology behind the Hex, has been used to gather physiological data in labs for decades, but the founders sought to make it work seamlessly within an athlete’s workout routine. In 2016, after speaking with hundreds of athletes, they began a small pilot trial to get a feel for what the sensor’s optimal weight and size would be and how best to display the data. Later that year, they included 250 athletes in a larger trial designed to ensure the Hex solved a significant pain point. The founders added features to the Hex as they spoke with more athletes, and the company officially started shipping the Hex in February of this year. Wiese likes to break the company’s journey to the market into three steps: developing the technology, making it convenient for athletes, and building out the software features. The company markets the Hex as the world’s first real-time artificial intelligence coach because the system can prompt users to adjust their pace based on their body’s response to current training intensity and tell users when their muscles are ready for another interval set. Additional features will come as the company gathers more data. Hex is also notable for its accuracy. In April, researchers from Harvard Medical School found that Humon’s method of measuring muscle oxygen saturation was up to 96 percent as accurate as the ISS Meta Ox, a stationary device Babini calls the “gold standard” of oxygen monitoring technology. As the company continues rolling out features for the Hex, it will also unveil plans for a new product early next year. 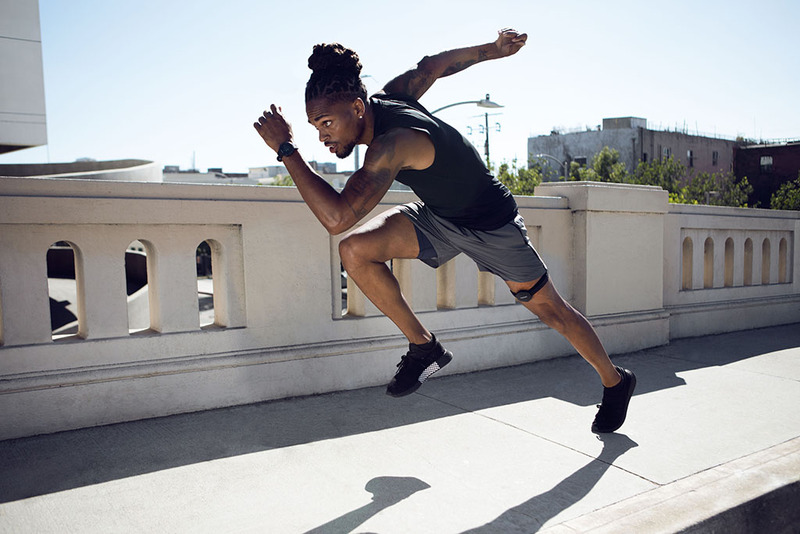 The plans are an indication that, although the founders are happily focused on athletes for now, they’re also mindful of their role in the context of the larger wearables movement.